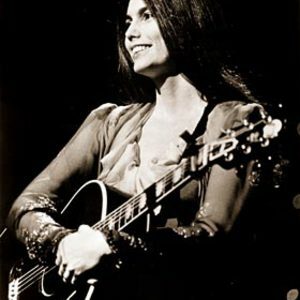 Emmylou Harris (born April 2, 1947 in Birmingham, Alabama) is an American singer-songwriter and musician. In addition to her work as a solo artist and bandleader, both as an interpreter of other composers' works and as a singer-songwriter, she is a sought-after backing vocalist and duet partner, working with numerous other artists including Gram Parsons, The Band, Linda Ronstadt, Roy Orbison, Dolly Parton, Mark Knopfler, Guy Clark, Willie Nelson, Bob Dylan, Rodney Crowell, and Neil Young. After the loss of Gram, Emmylou went back to the D.C. area and formed a country band, playing with them until her 1975 major label debut, Pieces of the Sky, when she formed the first version of the legendary Hot Band. Over the years the Hot Band included world class players such as Albert Lee, Rodney Crowell and Hank DeVito.